Antique French Decor and Collectibles. Announcement Le Bonheur du Jour offers a selection of fine vintage and antique French collectibles. The assortment includes vintage French country home furnishings, lovely old table linens as well as Art Nouveau and Art Deco pieces. If you are looking for a specific piece to compliment your French country home deco or even a special French gift or souvenir please send me a message and I will happily try to source on your behalf. Le Bonheur du Jour offers a selection of fine vintage and antique French collectibles. The assortment includes vintage French country home furnishings, lovely old table linens as well as Art Nouveau and Art Deco pieces. Old Easter Postcard with Eggs Basket and Couple. Antique French Greeting Card. Romantic Paper Ephemera. Scrapbook Craft Supply. 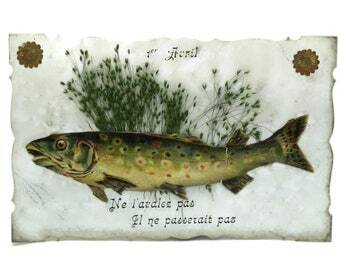 Antique Poisson d'Avril Postcard. French April Fool's Post Card with Victorian Cut Out Fish Illustration. Antique Postcard with Lady and Flowers. French Bonne Annee Greeting Card. Old Paper Ephemera. Romantic Scrapbook Supply. Antique Seaside Postcards. Antique French Tourist Souvenir Post card Collection. Antique French Actress Postcards. Reutlinger Postcard Set. Romantic French Vintage Woman Portrait Postcards. 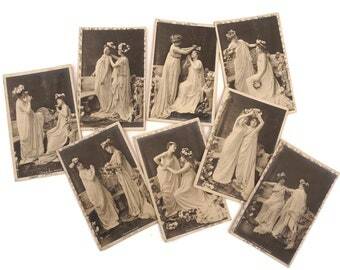 Romantic French Flower Postcards. Vintage Floral Art Cards. Scrapbook Flower Prints. 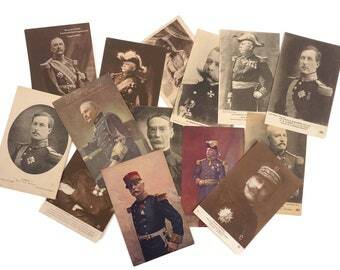 Antique Military and Soldier Postcards Collection, French Men in Uniform Portrait Cards, Militaria Collectible. Excellent!!! What a great Oyster. Basket! Arrived intact, Packed superbly. Using it in my sun room filled with all sorts of items. Wish I was out searching for Oysters on a faraway shore. Unfortunately I live in the USA in a land lock state.!! Thankyou for such a sweet item! 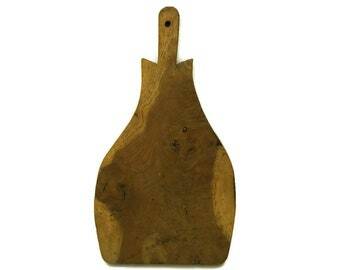 Rustic French Chopping Board. Large Antique Wood Cutting Board. Country Kitchen Decor. My passion is collecting. Most things that catch my eye are those which are unusual, old and interesting. I hope you enjoy your visit to Le Bonheur du Jour.